This is just a short blog update to say a big thanks to everyone who supported us on our Marathon endeavor over the weekend. 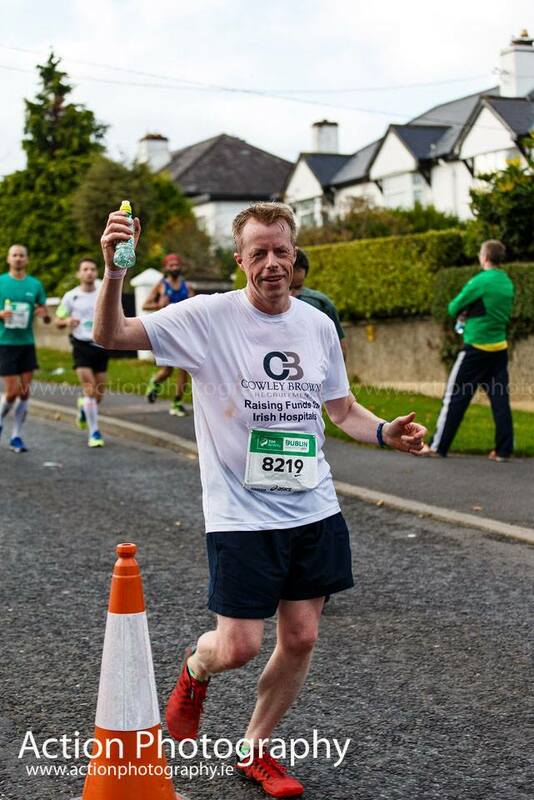 Ken was happy to get through his 4th Dublin Marathon in one piece, with the added bonus of a modest improvement on his previous best time (just beating 3 hours 52 minutes). But the most satisfying thing about the day was that we have raised almost 700 euros for the St James’s Hospital Foundation, which is one of Ireland’s leading university hospitals, and it’s Foundation does excellent work to top up funding shortfalls across it’s many medical specialties, as it serves the catchment area of Dublin’s south inner city. It was a truly inspirational day in Dublin, as the city was showed off at it’s best in the sunny weather, with 20,000 runners passing by such iconic locations as Christ Church Cathedral, the Phoenix Park, Kilmainham Gaol, University College Dublin, the RDS, and finishing back close to the start line, in the heart of Georgian Dublin. The support from the people of Dublin was extraordinary as usual, it seemed like there was hundreds of thousands of supporters out there. And a big nod is also due to the many volunteers, and the quality of the logistics in managing such a big event in our medieaval and suburban capital city. It was also great to see so many overseas runners taking part, and so much money being raised for good causes. Cowley Brown Recruitment will always try to give something back to selected causes every year, and this year we were delighted to support the St James’s Hospital Foundation. We are very close to our Fundraising target now, so if you’d like to make a small donation before we close down the fundraising page, please do so via the link below. Finally, I would like to thank everyone in Cowley Brown Recruitment and my friends/family for their support with this year’s event, as well as all of our clients, candidates and suppliers who contributed and gave their support.